Ride Illinois is active in representing bicyclists in both Springfield and Washington. We have initiated and/or supported various pieces of favorable state legislation while speaking out against other bills. We are also a strong member of a national team advocating for the federal policies and programs that have improved bicycling in Illinois and elsewhere. Join us in speaking up for bicycling! Find your legislators here. Ride Illinois closely monitors state law, policies, and their implementation. Legislative victories include the 3 Foot Passing Law and Complete Streets. Read more. See our wallet-sized Bike Law Card for the main state statutes affecting bike riders. Ride Illinois is part of a coalition of national, state, and local organizations seeking bicycle-friendly national policies in the multi-year federal bills that authorize surface transportation funding programs. Among these is the Transportation Alternatives Program (previously Transportation Enhancements), which has funded most of the new bikeways in Illinois since 1991. Other policies and funding programs in the legislation affect biking as well. 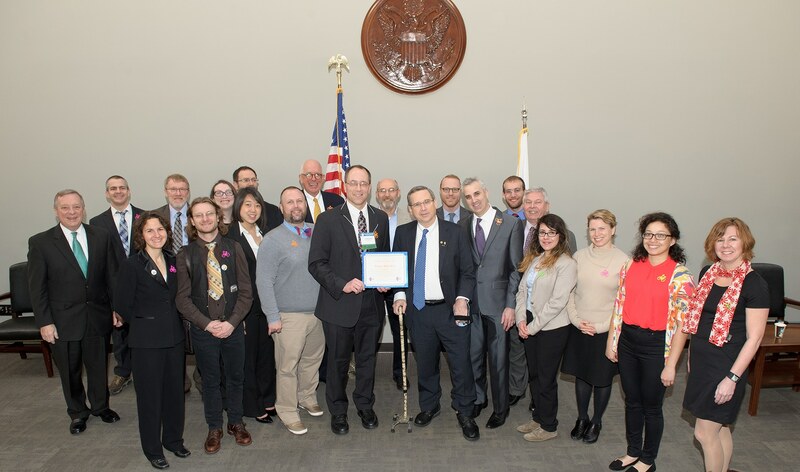 Each March since 2001, Ride Illinois has led Illinois’ delegation of advocates and bike industry leaders at the League of American Bicyclists’ National Bike Summit in Washington. There, we visit our state’s Congressional offices to speak up for bicycling. Find out about some of our work at the 2018 Summit and join us in 2019!